The magic of wilderness allures herbalists everywhere. There is nothing like walking through misty woodlands on a cool spring morning with beloved plants emerging from their winter slumber or strolling through familiar desert canyons singing summer’s song with a cacophony of colors dotting the landscape. Herbalists, like all lovers of nature, are drawn to the forests, mountains, canyons, stream banks, and meadows where wild plants grow. Walking through places where you know the individual plant beings all around you is comforting and welcoming. They beckon our return again and again. 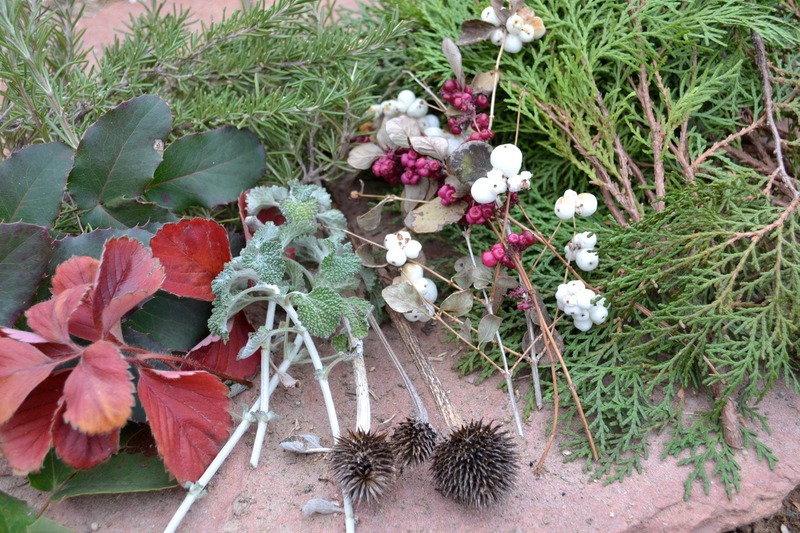 Wildcrafting herbal medicine is an important practice for many herbalists that connects us to the wild hearts of the plants we love. Yet many of us are finding local ecosystems in flux with habitats changing as weather patterns take unexpected twists that deviate from our anticipated norms. Here in the desert Southwest that has meant less reliable ra ins, increased fire danger, and shifting plant communities. In the last decade, I have seen once-robust plant colonies shrink and water-loving plants disappear from many locations in the surrounding high desert wilderness. While I have always been conservation-minded, this observation has prompted me to shift the focus of my work with plants and students. In order to promote more sustainable practices, I have migrated toward a love of urban weeds, wild commoners, and the cultivation of medicinal herbs in an urban garden that reflects the wisdom and beauty of the surrounding wild lands. For the desert valley herbalist, a sustainable herbalism practice incorporates both the principals of bioregionalism and also water-wise gardening. As a bioregional herbalist, I rely heavily on plants that are offering themselves to me in my daily life; those that call out to me as I walk the urban sidewalks, trek across desert sands, and hike through wooded mountainsides. For example, Wild Lettuce (Lactuca serriola) demonstrates a quiet acceptance for our need to pave, manage, and control nature by growing out of the cracks of parking lots as well as a stubborn resistance to be tamed or dominated by it. Her medicine offers comfort for the nervous sys tem, pain, persistent coughs, and sleep disturbances. Chaparral (Larrea tridentata) sits quietly under the boiling desert sun, holding the secrets of ancient wisdom acquired through long life and overcoming difficult living conditions. She also provides a potent surge of healing power in the face of the most tenacious infections. Figwort (Scrophularia lanceolata) has become a reliable friend of the mountain meadows, always there for me, even in the hottest and driest of summers. Her medicine has moved many past stagnant plateaus in healing severe or chronic wounds. I harvest these and other abundant plants from my local bioregion with great reverence and gratitude. Every wilderness excursion, whether it is to exposed desert plains or mystical mountain lakes, leaves me feeling humbled by the vastness of life around me. I am consistently filled with awe for the mysteries that abound. While working with these and other common plants from the surrounding wild lands, I also feel an equally potent bond with my backyard botanicals. Attempting to take the pressure off of wild populations of more sensitive plants, I have created a medicine garden that incorporates what I have learned from my walks in the countryside and recreates some aspects of the wilderness in my own urban land. Companion planting, as taught to me by the wild plants themselves, is a main tenet of my approach to creating urban habitat for mountain herbs in a hot desert valley. During my visits to favorite mountain locations I have observed the relationship between plants and their local habitat preferences. I often find Mullein (Verbascum thapsus) growing with Yarrow (Achillea millefolium) in open hillsides or with Beebalm (Monarda menthaefolia), along intermittent strea mbeds. These plants grow in harmony side-by-side in my garden as well. Other plants, such as Arnica (Arnica chamissonis), simply need more shade to attenuate the higher ambient temperatures it experiences in the lower elevations of my desert valley garden. To provide this and recreate the dappled light effect of the forest, I have planted Arnica underneath a shade ramada covered with mature Clematis vines (Clematis ligusticifolia). The soil also has been adapted to carry more organic matter through yearly mulching of tree leaves and other decomposing plant debris. Water is delivered by drip irrigation to supply the vital fluids of the once wetter years when monsoonal rains consistently provided afternoon downpours in late summer. Garden tending practices are also influenced by the wild habits of plants. Allowing them to complete their reproductive cycles, practicing minimal intervention until harvesting time, and allowing plants to migrate around the garden according to their own will creates a wild-spirited environment driven in large part by the plants themselves. It is also a lesson for me in letting go, watching things unfold, avoiding the temptation to try to control nature, and most importantly accepting my place in the wild landscape. Even the rocks used as stepping-stones to provide passage through the semi-wild botanical haven have been collected from wild places. Some contain the fossilized hints of an even wilder ancient past when Permian era oceans ruled the landscape. My Southwest medicine garden is home to a variety of native mountain dwellers, many of which are sensitive in their local wild habitats here in central New Mexico. Recreating higher elevation wilderness in my backyard are Arnica, Angelica (Angelica grayi), Bee Balm, Pulsatilla (Pulsatilla patens), Skullcap (Scutellaria spp. ), St, John’s Wort (Hypericum formosum), Self Heal (Prunella vulgaris), Lobelia (Lobelia cardinalis), Rudbeckia (Rudbec kia lacinata), Hops (Humulus americanus), Choke Cherry (Prunus virginiana), Geranium (Geranium richardsonii), Goldenrod (Soldago canadensis), Yarrow, Valerian (Valeriana spp. ), Raspberry (Rubus spp. ), Penstemon (Penstemon strictus) and Elder (Sambucus nigra) among many others. I use these plants in remedies on their own or combined with ceremonial harvests of wild counterparts to imbue the preparation with the true spirit of wilderness. This is how I have recreated the desert mountain habitats within a lower-elevation urban environment. However, the medicine does not stop there. As you might already know, planting a medicinal herb garden has rewards well beyond the harvest. The deepest and most profound medicine comes from the time spent together. Medicine whispers are perceived by the heart and produce effects that can scarcely be explained by words. The reciprocal relationship that one develops with the plants creates a cycle of symbiotic caring and nurturing of the soul as we are reminded of the interconnection between all beings. The awakening of the senses through smells, colors, textures, and plant songs produces a sensation of vitality and love of life that invigorates the one who sits quietly enough to receive this gift. Many a plant can produce these effects but, for me, Yerba Mansa (Anemopsis californica) is an herb that provides all of this and more. I have planted this desert bosque beauty extensively in my garden not only because of the powerful medicine it provides, but also due to its sensitivity in the wild. It is a small herbaceous perennial that suffers from flood plain development and current water management practices. Water diversion and urban flood control policies prevent the Rio Grande from meandering and flooding, which in turn decreases the wet boggy habitats that Yerba Mansa favors. In my garden, however, I can easily provide suitable habitat and I am amply rewarded with her potent medicine and unparalleled beauty. As many of you have no doubt already realized, the more time you spend with medicine plants, the less you need to use them. You get your medicine by simply being together. One evening as I was finishing up my work in the garden, I saw the energetic glow of Yerba Mansa. Not that I could see it, per se. I felt in my heart colors I had never seen before. I had been immersed in the pleasing pungent scent of Yerba Mansa roots for hours as I harvested Raspberry shoots and Globemallow roots (Sphaeralcea angustifolia) from her immediate vicinity. Just touch the soil where Yerba Mansa grows and you become deeply affected by her healing aroma. As dusk fell that evening, her white bracts emitted a radiant glow and she beamed so luminously, I felt for a moment as if we were one. While this moment with Yerba Mansa was a powerful one, it is not an isolated occurrence. As the growing season progresses, plants evolve into new stages of development, and more wild-spirited revelations connect me to the larger landscape beyond. I feel the warmth of the afternoon sun in the golden spires of Greek Mullein (Verbascum olympicum). I smell the rich legacy of New Mexico’s herbal heritage in Bee Balm’s leaves. I hear the heartbeat of all wild animals in the wings of the hummingbirds hovering over Autumn Sage (Salvia gregii). I transcend time and place, hypnotized by Passionflowers (Passiflora incarnata). I see the divine colors of the high desert sunset in Yerba Mansa petals. A Sunflower stalk (Helianthus annuus) reaching for the clouds proposes the idea that there are eternities of plants inside each one of her seeds. As the awareness of our inter-being penetrates me, I am invigorated by all the energy of the universe that is present within us. At once I feel connected with the earth, the sky, and the cosmos beyond. I sit contentedly in my peaceful garden and stare endlessly into the heart of life. While in my garden I am completely enraptured by the physical beauty of the scene and enveloped by the ancient wisdom of plants. What better medicine is there anywhere? Anyone can create such a healing garden that will connect oneself with the beauty and wisdom of wilderness. In fact, it is our imperative to do so not only for our own sake, but also for the benefit of wild lands in a changing world. Sustainability is a hot topic in all areas of our lives theses days. For herbalists, that means arming ourselves with the knowledge of our local ecosystems and knowing the status of plants in our surrounding areas. Living in a marginal environment with volatile weather and long-term drought, I have come to understand the quiet beauty of desert plants in their rugged life journey. While ethical wildcrafting practices are important everywhere, they are of paramount importance here where even hearty Horehound is vulnerable to persistently dry soils. I am fortunate to live in a crossroads of western ecosystems that includes the Rocky Mountains, Colorado Plateau, the Great Plains, and the Desert Basin and Range. With all this plant diversity that surrounds me, I am filled with awe for the learning possibilities that nature provides every time I enter the wilderness. Regardless of having access to an incredible variety of plants and habitats, I am aware that all are vulnerable to changes in weather and climate. Deepening our relationship with common local plants and cultivating our own urban wilderness helps sensitive plants to continue to thrive in shifting environments and provides a platform for sustainable herbal practice now and in the future. While this may be the origin of my desert valley herbalism practice with weeds, commoners, and cultivated herbs at the heart of my work, it has evolved into much more than that. It has become a practice that sustains me in body, mind, and spirit. I have experienced the beauty and wisdom of the wild landscape reflected in my own backyard. This essay was originally published as: Saville, Dara. (2014). Gardening Natives. Plant Healer Quarterly, 3(3), 54-61. Check out my ongoing Plant Healer column, Of Wilderness and Gardens, for more musings on plants and wilderness. Photos from top to bottom: Yarrow, Butterfly Milkweed, Mullein; Bee Balm, Poppies, Chamomile; Arnica and Creeping Thyme; Yerba Mansa and Red Clover; Lobelia; Greek Mullein; Passionflower. This entry was posted in gardening, herbal medicine, herbalism, herbs, native plants and tagged gardening, native plants, urban wilderness on March 31, 2017 by darasaville.